E3 2017 is already knocking socks off. Catch up quick on everything you’ll want to know from the big event. It’s E3 2017 season and you know what that means – or, by gum, our SEO is getting so good it pulls in muggles who have no idea what’s going on. In which case, hello! Sorry about this. What E3 2017 means is games. Games, games, games. Trailers for games. News about games. Anticipated games. Totally surprising games. Games everybody expected and still cheer madly for when they arrive. Games nobody asked for but there, that’s the games industry for you. This year’s show kicked off on Saturday with EA’s now annual EA Play event, and will continue Sunday with Microsoft’s Xbox showcase and Bethesda’s livestream. Ubisoft and Sony follow up on Monday, and that’s the worst of it over before the E3 2017 show doors even open on Tuesday. On top of these big E3 2017 conferences there will be a stack of livestreams from Nintendo, YouTube and Twitch, filled with reveals and showcases – so we’re expecting big heaps of news and trailers and games, games, games, all week long. 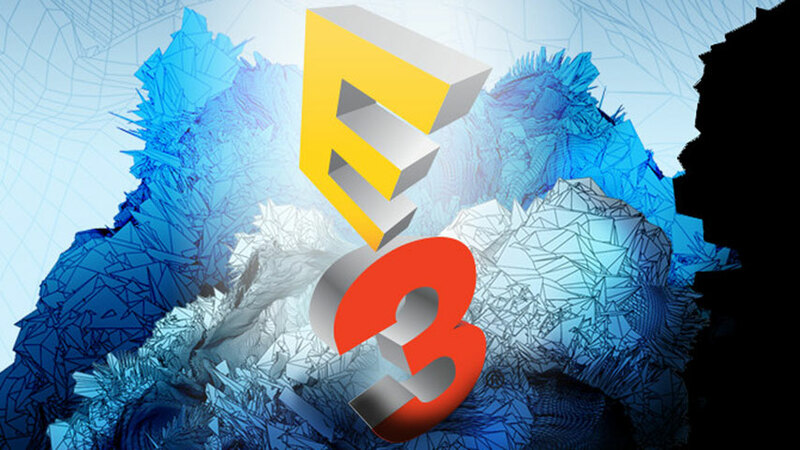 Check with our full E3 2017 livestream schedule if you’d like to watch for yourself, but otherwise bookmark this page and check back regularly – we’ll keep rounding up the biggest news, trailers and of course games from E3 2017. EA was the first cab off the rank this year and it took the chance to knock socks off with some great big titles and even – bless – a totally new IP. In the year 2017! It’s an E3 miracle. The biggest hits of EA’s E3 2017 presentation were obvious. For starters, there was Star Wars Battlefront 2. The Star Wars Battlefront 2 reveal included a live 40-player battle and plenty of apologies for the mess EA made of the first Star Wars Battlefront. Even the fact that EA’s sponsored YouTube partners leaked gameplay in advance of the show couldn’t spoil the excitement. 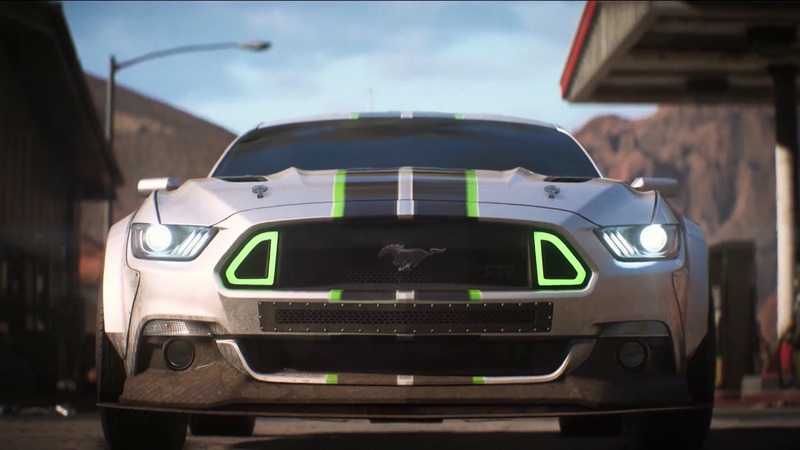 Need for Speed Payback was another highlight. Racing fans are tremendously excited about the latest from Ghost Games and after seeing those trailers we can’t blame ’em. Go put them in your eyeballs immediately. There was tremendous social buzz around EA’s new IP, A Way Out. From the creator of Brothers: A Tale of Two Sons, it a gritty prison break adventure and can only be played in couch co-op. Amazing. Definitely check out the gameplay trailer at the very least. We were massively excited to get a first look at Anthem, BioWare’s new IP, but unfortunately it was only very brief. The full reveal is coming during Microsoft’s show. (Don’t worry, PC and PS4 fans – the game isn’t Xbox exclusive.) Still, the teaser is very exciting – giant mechs! yeah! EA also chatted about Battlefield 1’s In the Name of the Tsar expansion, the next two Battlefield 1 expansions after that, new content for Battlefield 1 Premium players, FIFA 18, FIFA 18 on Switch, Madden NFL 18 and NBA Live 18. Finally, it gave PC and PS4 players one week of various free trial offers – go take advantage now! When Xbox One S got a $50 price drop all of a sudden we knew Microsoft was gonna go big, big, big on Scorpio – or as we now know it, Xbox One X. The cult of Xbox has swallowed the price tag with nary a whimper. Xbox One X launches in November for $499. Microsoft spent quite some time showing off games running in buttery smooth 4K, and talking up how the “most powerful console in the world” would host the best versions of games. But while we were busy working up excitement for all these new games, Microsoft went ahead and announced original Xbox games are getting backwards compatible support on Xbox One. Still, it brought the goods. In the first-party sphere, we got our first look at the beautiful Forza 7, which while not surprising, was certainly very welcome. Remembering that Mojang is first-party now, Minecraft is getting a big new update bringing the various non-Java editions into line with identical features, and opening cross-play between them. Only Xbox One and Switch will benefit on consoles, which is an amazing Sony snub. There will also be a big new graphics update and HD graphics DLC, and the Windows 10 and Xbox One X builds will benefit the most. Some long-awaited exclusives showed their faces at last. Sea of Thieves got a new trailer dating it for early 2018, and Crackdown 3 is looking good and coming in November. To third party titles now. Microsoft got both the worldwide premiere of Assassin’s Creed Origins and a lovely Xbox One X demo of Assassin’s Creed Origins in 4K. 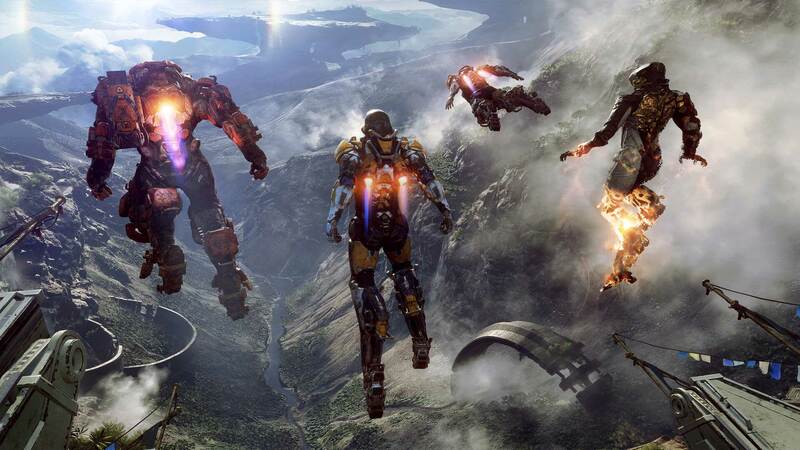 As anticipated, BioWare’s Anthem debuted with a new trailer and confirmation that it’s a Destiny-style shared-worlds shooter. We got a new look at Middle-Earth: Shadow of War focused on the expanded Nemesis system, too. Deep Silver surprised with the announce of Metro Exodus, a new open-world series entry, and Bandai Namco announced Dragon Ball Fighter Z, as well as showcasing Code Vein again. To indies now and the news that PlayerUnknown’s Battlegrounds is Xbox One console exclusive and State of Decay 2 is inbound. Microsoft’s long-awaited arty indie Cuphead now has a release date in September. We can now begin to wonder about the newly announced Ori and the Will of the Wisps, which doesn’t have a date at all. A three-part Life is Strange prequeal was announced, confirming rumours we didn’t want to believe, and former Oculus exclusive Luckey’s Tale is coming to Xbox One. There was also a new trailer and release date for Tacoma, the second game from Gone Home develoepr Fullbright, which was nice. There were a stack of amazing Xbox indies on show, actually – check ’em all out in the round up. Bethesda’s E3 2017 showcase was relatively short, but that just made it even sweeter. There were no surprises, thanks to our excellent sleuthing, but what we got was pretty rad nonetheless. Wolfenstein 2 looks even more amazing?? For starters, everything Bethesda showed is out this year. The publisher is big on short PR cycles these days, you see. There will be two VR games from Bethesda this year. Fallout 4 releases in October, while a whole new game called DOOM VRF is inbound sometime in 2017. While we’re on new and different things, Bethesda also announced the Creation Club, which is essentially a combined premium DLC and paid mods service. Card battler The Elder Scrolls Legends is coming to mobile and getting a Skyrim expansion this month, which is nice. In other Skyrim news, the Switch version has a Skyrim Amiibo unlocking a Link skin. Yep. It’s out holiday 2017. Bethesda announced what seems to be a standalone Dishonored expansion called Death of the Outsider, and will be getting a very sharply worded letter from us. Look for it in September. A quick look at Quake Champions revealed Wolfenstein’s BJ is in it, and also there’s a $1 million global championship happening at QuakeCon. 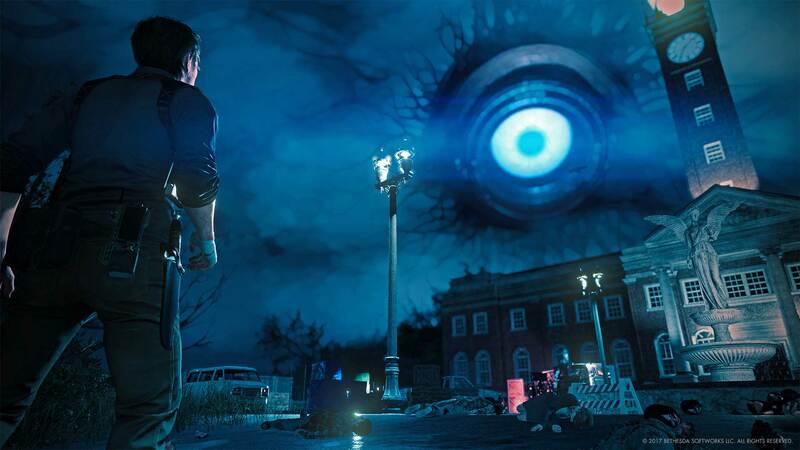 Saving the second best for second last, Bethesda unrolled a lengthy and amazing trailer for The Evil Within 2, releasing in time for Halloween. The cherry on the whole thing was definitely the reveal of Wolfenstein 2: The New Colossus, which looks phenomenal. It’s also releasing in October. Ubisoft had a bright, cheerful show, bringing us exactly what we wanted to see and even managing to surprise us a little. Although it leaked well in advance, the formally revealed Mario + Rabbids Kingdom Battle reveal was nice – Shigeru Miyamoto turned up for it. proving not everything it does leaks immediately. From the Assassin’s Creed 4: Black Flag, team it’s an open world pirate game with co-op and PVP multiplayer. Beyond Good & Evil 2 was unveiled as a prequel story and a spiritual successor, which was nice. Ancel lied to us about that. Even though we’d already heard all about them, was nice to get new Far Cry 5, South park: The Fractured But Whole and Assassin’s Creed Origins trailers from Ubi’s show. Less agreeable was the $800 Assassin’s Creed Origins edition the publisher slipped quietly into the wild while we were distracted by shiny things. The announce of South Park: Phone Destroyer did not compensate for this base treachery. Moving on to Ubisoft’s second tier IP, The Crew 2 planes and boats and Steep is getting an Olympics expansion. Somehow during all this Ubisoft managed to announce three science fiction games that went totally under the radar. Oh, and Just Dance 2018 is coming. We were too tired to report on that. You know what to expect. 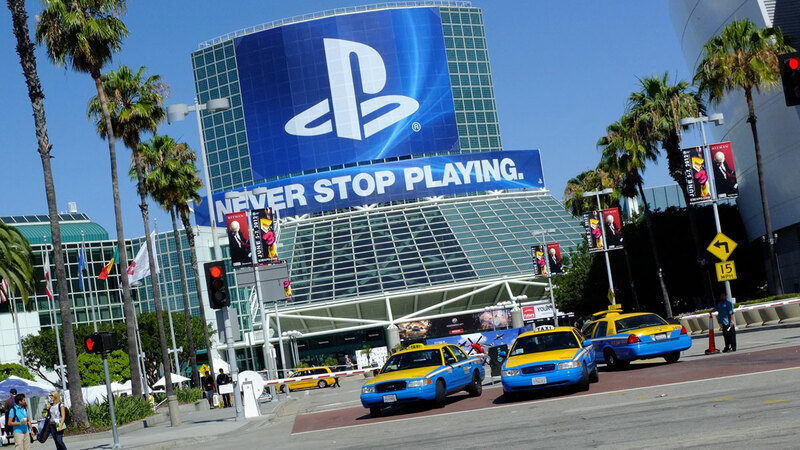 Sony kept it relatively short this year, which surprised us. Most of the announces were for VR games, with the PlayStation Nation mostly directed to games releasing this year or in early 2018 rather than the years-distant stuff Sony normally throws at us during E3. There was some of that, though – we can’t escape it – and firm release dates were thin on the ground. We kicked off with a look at Uncharted: The Lost Legacy, which is out in August, then continued the theme of additions to existing franchises with Horizon Zero Dawn: The Frozen Wilds, an expansion due this year. Next up was Days Gone, showcased with gameplay including a zombie bear. Sony then left first-party titles momentarily to announce Monster Hunter World, which brings the franchise home to PlayStation after too long away. We got a too-brief look at a Shadow of the Colossus remaster, then spent quite a while with Marvel vs Capcom Infinite, which has a demo as well as a new trailer. Blockbuster franchises hogged spotlight for a while: Call of Duty WW2 got a multiplayer reveal trailer, and Bethesda popped up with Skyrim VR. This kicked off a flurry of VR announces including a Final Fantasy 15 VR fishing game. Returning to big first-parties before we got tired, Sony showed a new God of War trailer with both cinematic and gameplay footage spliced into a montage. Detroit: Become Human produced a stunningly beautiful trailer, although, you know, your David Cage mileage may vary when it comes to the game itself – which we still know nothing about, alas. 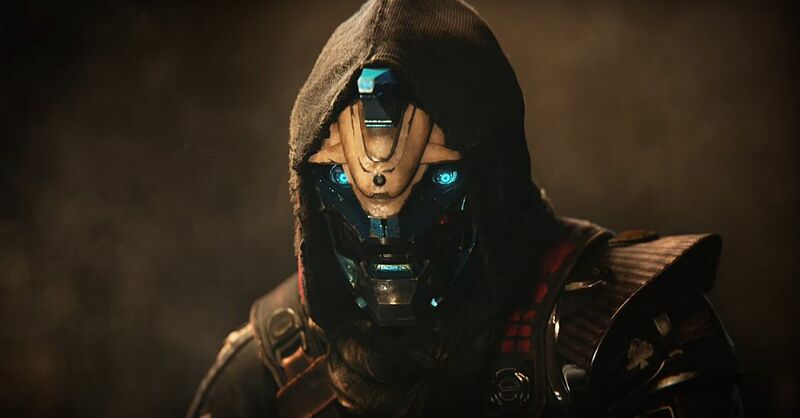 The Destiny 2 trailer was all about the primary antagonist, but an extended cut detailed the PS45 exclusive content, which was nice to know. The stream concluded with an extended look at Insomniac’s Spider-Man game, which seemed to go down well. The announces and trailers didn’t stop there. Before and after the presser, Sony fronted new trailers for Gran Turismo Sport, Knack 2, Everybody’s Golf and Matterfall. The platform holder also gave us an update on PS4 consoles sold and revealed a new initiative called PlayLink with two super fun looking party games. Also, LocoRoco 2 and Undertale are coming to PS4, so there’s that. Nintendo doesn’t pretend its E3 presentations are for anyone but you, the folks watching at home. Media doesn’t mind; it just means less standing around in halls. The most startling news was word that Metroid Prime 4 is in the works at last, but we have no information or hint of a release date so it’s probably years off. 3DS title Metroid: Samus Returns is out in September, though. Nintendo also confirmed Pokemon Switch is under development, but it sounds like its further off than the rumours suggested. A new Yoshi game and a new Kirby game were announced; both are coming to Switch, but not till 2018. 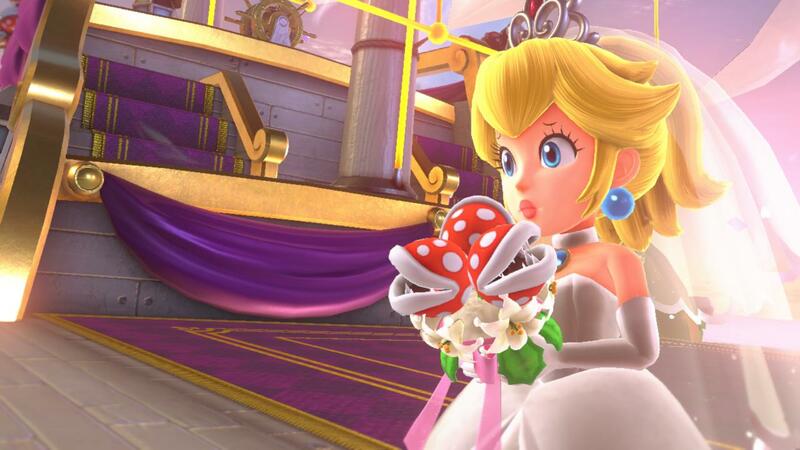 Luckily, a big first-party game is imminent – Super Mario Odyssey releases in October. You know, it looks like it might have multiplayer. In the meantime, though, Zelda: Breath of the Wild DLC has been dated and detailed. Xenoblade Chronicles 2 is coming this holiday season, and Mario & Luigi: Superstar + Bowser’s Minions is releasing in October. Also Fire Emblem Warriors is due in northern autumn this year; we got a new trailer and details of an arena mode. Nintendo also gave us another look at Mario + Rabbids Kingdom Battle and confirmed Rocket League is coming to Switch with cross-play. We also got a new Sonic Forces trailer. Oh, and there’s a Mario Kart VR arcade game – Japan only, unfortunately. Throughout the show so far Nintendo has revealed 14 new Amiibo, by the way. Wave your wallet goodbye. As our E3 2017 livestream schedule shows, there’s a lot more going on at E3 2017 than just the big conferences. We have enormous expectations for E3 2017 and it’s going to be a really fun week, so we’ll be rounding every major headline here as it comes in. Newer headlines go at the top. Bookmark this page and check back every day during E3 2017 for all the news, trailers and games from E3 2017. We got’chu.